Long intergenic noncoding RNAs (lincRNAs) are a relatively new class of non-coding RNAs that have the potential as cancer biomarkers. 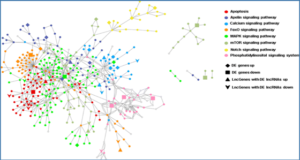 To seek a panel of lincRNAs as pan-cancer biomarkers, researchers at the University of Hawaii at Manoa have analyzed transcriptomes from over 3300 cancer samples with clinical information. 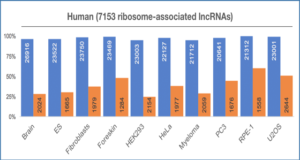 Compared to mRNA, lincRNAs exhibit significantly higher tissue specificities that are then diminished in cancer tissues. 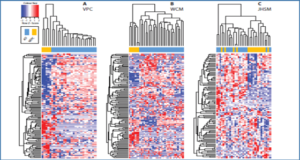 Moreover, lincRNA clustering results accurately classify tumor subtypes. Using RNA-Seq data from thousands of paired tumor and adjacent normal samples in The Cancer Genome Atlas (TCGA), the researchers identify six lincRNAs as potential pan-cancer diagnostic biomarkers (PCAN-1 to PCAN-6). 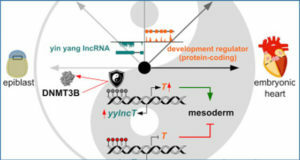 These lincRNAs are robustly validated using cancer samples from four independent RNA-Seq data sets, and are verified by qPCR in both primary breast cancers and MCF-7 cell line. Interestingly, the expression levels of these six lincRNAs are also associated with prognosis in various cancers. 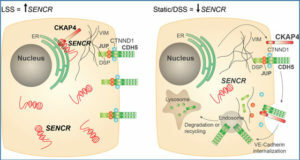 The researchers further experimentally explored the growth and migration dependence of breast and colon cancer cell lines on two of the identified lncRNAs. 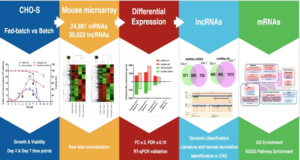 This study highlights the emerging role of lincRNAs as potentially powerful and biologically functional pan-cancer biomarkers and represents a significant leap forward in understanding the biological and clinical functions of lincRNAs in cancers. (a) The classification of the lincRNA panel was based on a computational RNA-Seq pipeline. The TCGA data were split into 80% training and 20% testing subsets. Five out of the six lincRNAs were selected as predictive features using Correlation Feature Selection (CFS). Pan-cancer diagnostic models were constructed using four standard classification machine learning methods: Random Forest (RF), Linear Support Vector Machines (LSVM), Gaussian Support Vector Machines (GSVM) and Logistic Regression (L2-LR). The best model was chosen based on various metrics of the Receiver operating characteristic (ROC) curves, including Area Under the Curve (AUC), F-score, Matthew’s correlation coefficient (MCC) and Accuracy. (b) The performance of the classifier was analysed with the ROC curves on the TCGA hold-out testing data, based on the four classification methods mentioned above and (c) ROC curves of the top Random Forest model on four independent RNA-Seq validation datasets. 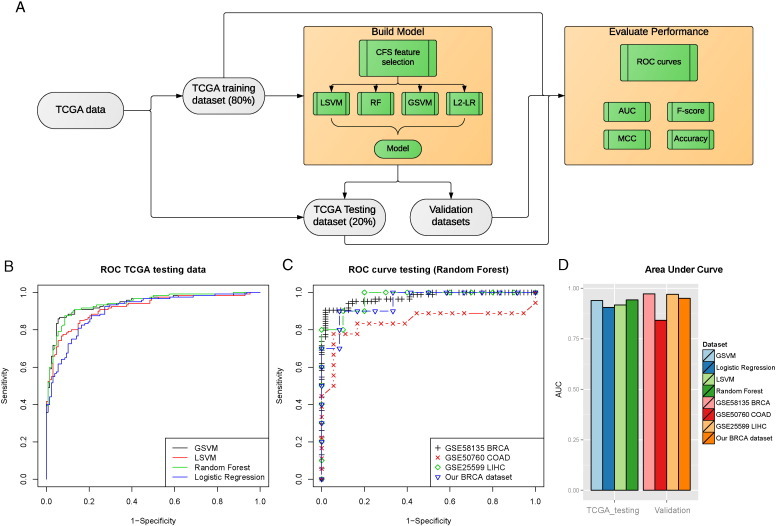 (d) AUCs were calculated on the TCGA hold-out testing data in and the four validation datasets.